Nick Benson Photography deserves every recognition we can give! Nicks photos are undeniably beautiful, artistic and creative. He has talent like we have never seen and we feel so privileged that he was the one to capture our engagement as well as wedding, but truly what we love so much about him is who he is as a person. He was a PLEASURE to work with, my fiancé and I thoroughly enjoyed every meeting as well as email interaction. We will truly miss communicating with him so often! We’d like to give a quick shout out to Ty and David as well. We had only worked with Nick up until our wedding day, but the day of we got to meet and work with these guys as well. We were just as impressed. 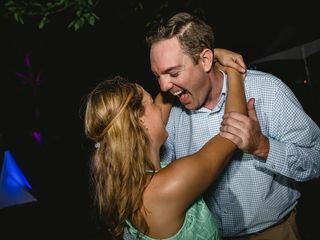 One of Nick Benson Photography’s biggest strengths is their ability to bring out the naturalness of a relationship and capture the “moments” that make it seem like no one else is watching- the laughs, the looks, the dancing! In all these things the magic of the day is brought out, and that is what we want to remember forever from our wedding day! Nick Benson and his team were amazing! We felt comfortable the entire time and are so excited to see our photos. Would Highly recommend his services to all. I can't say enough how incredible our experience with Nick has been. From our first meeting, to our engagement session, to our wedding... he has been of the utmost professionalism. He strives for perfection and aims to make sure his clients are happy. He goes above and beyond and his talent is unmatched. I'm so glad we went with him as our photographer because our photos will now forever be something we look back on and smile at. Jim and I had our engagement session done with Nick Benson & Becky ...and it was something we will never forget! From the moment Nick responded to our email, I knew we were going to stick with them. The quality, care, and thoughtfulness that they put into their work is something I see so rarely now. They made the shoot so fun and easy - and the pictures are phenomenal! They were open to our ideas, incredibly accommodating, and personable - we had so much fun! The memories we made at the engagement shoot are unforgettable, and now we have beautiful photos for years to come. If you're looking for people who truly care - Nick Benson Photography is 100% the way to go! We had such a blast working with you and wish that every shoot could be unique as yours! We can’t thank you guys enough for being so flexible and open to new ideas. You gave us the opportunity to challenge the traditional outdoor engagement shoot by bringing the fun inside and we truly value the new friendships we’ve gained from working with you. Thank you so much for your honest review! We hope to work with you again in the future. To all the couples out there, You will receive A LOT of advice during your engagement but the only advice you need to listen to is mine: HIRE NICK BENSON. We are so beyond happy that Nick was the one who captured our wedding. From our first meeting to the actual day he was more than professional, fun to work with, and just overall amazing. We had a full day of activities and Nick and his team were with us every step of the way. Nick made us a timeline that he made sure we stuck to, which gave my husband and me enough time to sneak off sight for an intimate photoshoot in the woods. The photos are more beautiful than we could have imagined and are so grateful to Nick, Ty and David for doing what they do best! Once you find Nick, and his crew (Ty & David) i promise you wont be disappointed. They were great from beginning to end. We were in contact with them throughout the whole process so it was a little over a year and they did not forget about us at all. They are so on top of everything, but that is not all. Starting with just the engagement pictures nick suggested the place we went to and it was absolutely perfect, They know what they are doing. Not only did we love our pictures but our family and friends did just as much, (very detail oriented)! On top of that to make things easier for you, theres an option to get your save the dates through them which makes things much easier since your trying to plan everything else. They are 100% organized guiding you through the entire process which helps because things can get overwhelming and confusing with everything going on but they were always right there to answer any questions we had immediately. They are flexible and very accommodating, trying to make our day exactly how we wanted. Nick is a very kind and polite person very easy to work with (as well as his crew!) Everything is figured out prior to the wedding so you will not be stressing last minute. He hears exactly what you are looking for in your wedding pictures and has you fill out a questionnaire to make sure he gets exactly what you want- which is awesome! If your looking for someone that i described and also takes amazing pictures definitely go with this photographer, I promise you wont be disappointed! Good Luck! Nick was absolutely PHENOMENAL not only on the day of our wedding, but the planning beforehand as well. Everything was handled so professionally, from the engagement shoot, to last minute details. My new husband and I have never put our trust wholeheartedly into someone before, especially on such an important day. Nick knew the right angles to shoot from, what would look good vs. what wouldn't, and was able to accommodate each one of our wishes. We couldn't have asked for a better photographer. Thank you so much, Nick. The only thing more amazing than the photographs Nick produces is the experience working with him. We talked to several photographers before meeting Nick, and by far they were the fastest to respond and provided the most information & insight during our early conversations. Once we met with Nick, we were so impressed with his products and how he was able to explain his method. He spent so much time getting to know us as a couple and what we wanted to get out of this experience. We felt so comfortable and at ease during our photoshoot. Nick was able to really capture what we wanted him to and worked so hard to meet our requests, but his vision brought it all to another level. We can't wait for our wedding and to see the finished product! *Update: Nick truly went above and beyond during and after our wedding. Despite traffic causing us to run late and some high temps, Nick was calm and organized, making sure to get the group shots I requested while still managing to capture the small, quiet moments in between the crazy ones! Our finished products are beyond gorgeous, from the family photos that somehow manage to not look staged, to the shots of my husband and I and to the all the fun shots he captured of our guests at the dance floor. 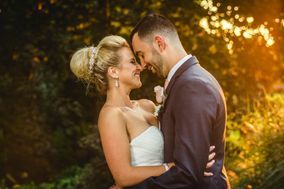 I could not believe how hard he worked that day to make sure we were happy- Nick really cares that his clients are happy and works so hard to capture the moments they want (and don't know they want!). His photos brought tears to our eyes and I am so happy knowing that we can look back on the best day of our life and feel like we are back there thanks to the amazing pictures he produced. Highly, highly, HIGHLY recommended! Thank you, Nick! I cannot say enough great things about Nick, Becky and Ty!! This team is amazing! They are personable, fun, professional and just amazing photographers. I loved seeing their creativity come alive when they would find the perfect spot to take a photo. They were also amazing at capturing the real raw moments throughout my whole wedding. When our baby cousins were breaking it down on the dance floor, the team was right there capturing the cute and hilarious moment! My husband and I cannot wait to see our photos in a couple weeks and cannot wait to see what the team does next month when they shoot my sisters wedding! You guys are amazing and we love ya!! Thank you again!! From the first meeting and throughout the wedding process, Nick Benson Photography was amazing to work with. We can't be more satisfied and happy with the amazing moments they have captured, both in our engagement shoot, and wedding. Nick, Becky, and Ty are truly one of a kind. They exceeded our expectations on every aspect from our engagement shoot to our wedding. We were so amazed by the work they do and the ideas Nick comes up with. Even when we had our doubts about the scenery or weather, they would figure out some way to make the photos breathtaking. It really was a joy working with this team of talented individuals and we are so glad to have them as photographers and now as friends! Jenelle, thank you SO much for your kind words. Your appreciation means the world to us and we can't thank you enough for trusting us and our crazy ideas! We had so much fun working with you and Vinny and we had a blast getting to know your friends and family. I know I speak for the whole team when I say that we are beyond thankful and feel truly blessed to have gained life-long friends in you both. We can't wait to see what the future has in store for you and we hope that we are a part of it all the way through! Nick & co. were so great during the entire planning process of the wedding and the wedding day itself. They were able to answer questions and give advice to us about things not even photo related. The day of the wedding they were the most calming presence in all the craziness. True professionals and help you feel really comfortable. They had gone up to our venue prior to our wedding day to make sure they could come up with good ideas and spots for shooting. I couldn't recommend them more! 100% the best choice and you can see from the photos - they take beautiful pictures! You need Nick Benson Photography in your lives! 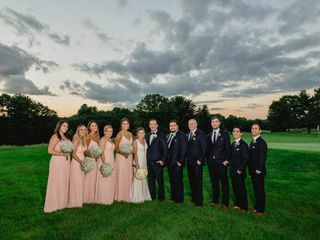 My now husband and I hired Nick and his team for our August backyard wedding and from promptly setting up our first meeting, through our wedding day, to receiving our pictures, we knew we were in good hands. 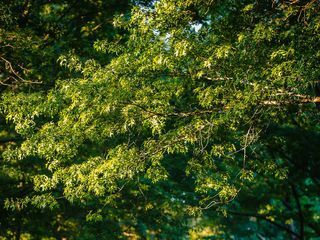 Nick’s work speaks for itself so we were already excited to work with him, but when we saw all that comes with his wedding packages we were blown away. We can’t wait to receive our album! Leading up to our wedding day, Nick and Becky took the time to really get to know us as a couple and to find out what was important to us in our final product. They helped us set up our day-of-timeline so that we would have plenty of time for an intimate photoshoot, but not miss much of our wedding day. They also went on location before our wedding, which put us at ease that they were prepared for our once in a lifetime event. On the day of, Nick, Becky and Ty were timely, professional and had great energy! Many of our guests commented on how personable our photographers were and that they had smiles on their faces the whole time even though they were clearly engaged in capturing our wedding. Some highlights of our day were all because of Nick’s team. 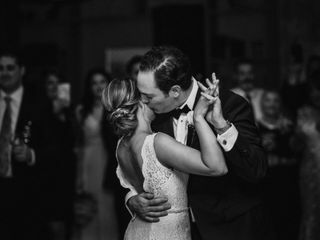 They worked with our DJ very closely throughout our whole event and during our first look Becky and our DJ even coordinated to have a romantic song playing while Nick and Ty photographed… it was a fairy tale moment we will remember forever because of their attention to detail. During our wedding they even quickly edited some of our photos into a montage set to music for an immediate sneak peek… even my stoic groom teared up! Needless to say we are 100% satisfied with the outcome of our photos and so pleased we chose Nick Benson Photography. The entire crew is so amazing!! We are so in love with our pictures, they really go above and beyond! One of the best decisions we made! Nick and his team were wonderful from day one. He was very accommodating and on top of all communications. We had to switch the date of our wedding and he worked with us on a different date. Our engagement session was amazing. Nick made sure we were happy with everything before we left the park. The shots were lovely; he got us our photos very quickly. The wedding day was wonderful too. He worked with our families to make sure we got perfect shots of everyone. We also got married on the hottest day of the year, and that didn't stop him from getting perfect shots!! We also worked with Ty who was also amazing. I would recommend Nick and his team without any hesitation. Nick, Becky and Ty did an unbelievable job at capturing our memories throughout our wedding. We received (and still do!) many compliments on our pictures because of how beautifully they turned out. I've been told by co-workers, family and friends that our pictures are the most beautiful wedding pictures they have ever seen and I couldn't agree more! Nick and Becky are a wonderful team because that Nick is very detail oriented and always willing to do something creative to get the most out of every shot and Becky was very responsive and patient when returning calls or emails whenever we had questions. Perhaps the best part about working with Nick and Becky is that they included us in the creative process of deciding how we preferred our shots to be edited based on our unique style. We really felt that our album was something we came up with collectively as a team. Nick, Becky and Ty are very relatable and put us at ease immediately which helped us get the most out of our pictures. They were also willing to accommodate our requests even if it was outside their norm throughout the process. We highly recommend Nick Benson Photography for capturing your special wedding day!!! Hiring Nick and his team (Becky & Ty) from Nick Benson Photography was one of the best wedding decisions my husband and I made. The crew photographed our 11/22 Greek Orthodox ceremony & reception, and we couldn't be happier with their level of professionalism, innovation, and creative excellence. Upon first meeting with Nick and Becky, we knew that we would be a perfect match. Nick was organized, thorough, detailed, and patient. Just looking through his portfolio, we could easily tell he had an artistic eye that captured the most magical moments. We felt at ease. In the correspondence leading up to the wedding day, Nick and Becky were prompt in their responses, and thorough and complete in their Wedding Day Schedule/time frame. 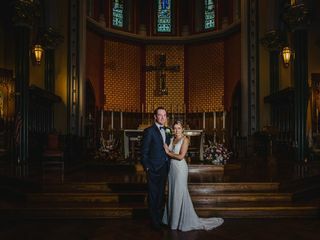 Nick even took the time to visit our church (ceremony location) to see the church's natural light and to get an idea of the rich traditions that go into a Greek Orthodox wedding. What a beautiful gesture. My husband and I were able to get a sneak peek into a couple of wedding pictures already. If that is simply a glimpse of our full album, we feel blessed and honored. Magical, ethereal, and perfect. Nick, Becky, and Ty, thank you so much for playing such an important role on our wedding day. We have already referred your amazing crew to our friends and family, and we can't wait to work together again, hopefully soon. Nick Benson Photography is absolutely incredible! Nick, Becky and Ty are absolutely fantastic to work with and incredibly talented. They all made us feel so at ease and so comfortable during our wedding! They have taken the time to get to know my husband and I and truly captured who we are during our special day! If you absolutely want to be blown away with your photos look no farther! Nick was the best photographer. I felt so lucky to have had him as our photographer. He is professional, creative, and so talented. You can tell he loves what he does, and it shows big time! He thanked us for doing crazy things like our engagement shoot in the freezing cold during a snow storm, stepping threw some prickers at our wedding because the spot was going to create an unbelieveable background. Really I wanted to thank him for being so creative, and thinking outside the box to get unique shots! The number of superlatives I could rattle off to describe Nick and his team at Nick Benson Photography would never be enough to express how great they are or to describe our experience working with them! Deciding on vendors for your wedding can be an intimidating task as this is the team of people who will help create and capture that special day - particularly the photographers that will freeze that moment through images that you will have for a lifetime. With Nick and his team there is no worry! The minute you meet them, you know they are the perfect choice. Throughout the whole process there is transparency, open communication, and a thoughtful plan about how the day will flow. They scout out beautiful locations and share their ideas with you for additional input or approval that is always warmly welcomed. Nick, Becky and Ty are an unbelievable team that work seamlessly together. On your wedding day, there are so many moving parts that their calming energy and demeanor puts you at ease. There is not a single worry about how the pictures will turn out or if they are missing anything. They are all such talented artists with great vision that we knew everything would be more than what we could've expected. (and it was!) It was an absolute pleasure to work with them! Many of our friends and family came up to us after the wedding to ask about Nick and his team. Not only about how wonderful the photographers were during the wedding but how stunning the photos are that we all have had a glimpse to see so far. We are so excited to see the rest of the photos and to see our album come together! Thank you guys for everything - You are the best! Thank you so much for such an eloquently written and honest review. We appreciate all of your kind words! 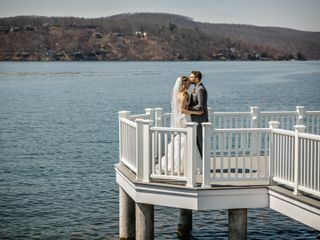 There are so many photographers in Connecticut to choose from and we can’t thank you enough for trusting us with such an important part of your day. You and Denis were so flexible and enjoyable to work with, we couldn’t have asked for more. Because you were so trusting in us, we were able to execute the artistic visions we had for your wedding. Weddings are beautiful and capturing them is truly our passion, but it is your love and partnership that inspire us to do what we do. Thank you for giving us the opportunity to work with you. We can’t wait to show you all of your pictures! They made my wedding day such a blast ! I happened to be running a little late with hair and makeup and they assured me everything was fine. Any one can take photos but it takes a special kind of skill to capture moments and that's what they did. I hardly knew where they were all night but in the best way possible. They captured pictures that I didn't even know they were around to get. Even though we had impromptu family pictures that weren't supposed to happen they accepted the challange and we still managed to get all the bridal party and bride and groom pictures we wanted. They worked with us not only the whole day but I almost believe the whole time up until the actual day. They even worked with the DJ and did a slide show of some of the pictures to share with us and all our guests. There was a moment that night were they snuck me and my husband away from the guests for a little and took pictures while the sun was setting they came out absolutely beautiful & it was such a nice break from all the crazy going on inside. They have the best packages you can imagine and will customize to your specific needs. They are the nicest group to work with and they will be the greatest asset to any wedding. I highly recommend them. Thanks Nick, Becky, & Ty for all the amazing pictures and for a day I will never forget.